When I lived in Florence, Italy, for five years one of my favorite things to do was head to a bar with my friends and drink an icy glass of sparkling lemonade. Forever fans of a little drama and lots of sweets, Italians love mixing fruit and soda water to give it an exciting zing! This Italian raspberry lemonade recipe combines two of my favorites. What makes this recipe different from others is the addition of basil simple syrup. That may sound complicated, but it’s easy make and delicious. The basil adds a subtle taste that wont’ make you think, “Oh, this has basil in it.” Rather, it will just make you think it’s delicious! In a saucepan, combine the raspberries, sugar, and 1/2 cup water. Stir often over medium heat for about 5 minutes. When the sugar is dissolved (and the berries are thawed, if you’re using frozen berries), boil for 3 minutes. Remove from the heat snd strain it into a bowl. Press down on the mixture with a large spoon or ladle to extract only the juice. Add the lemon peel and set aside. When the raspberry juice has cooled, add it to the Italian lemonade. Pour into glasses with ice, and garnish with fresh raspberries and slices of lemon. 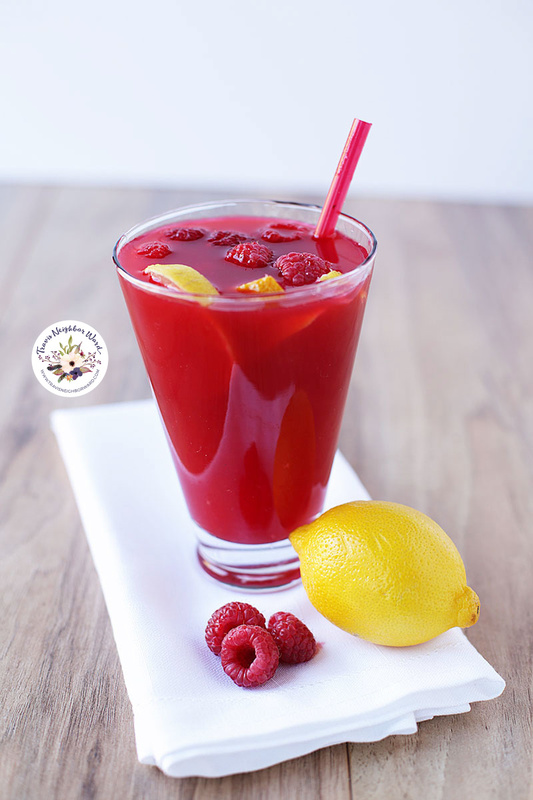 Let me know if you make this raspberry lemonade recipe! Any suggestions for ways to use it in cocktails?